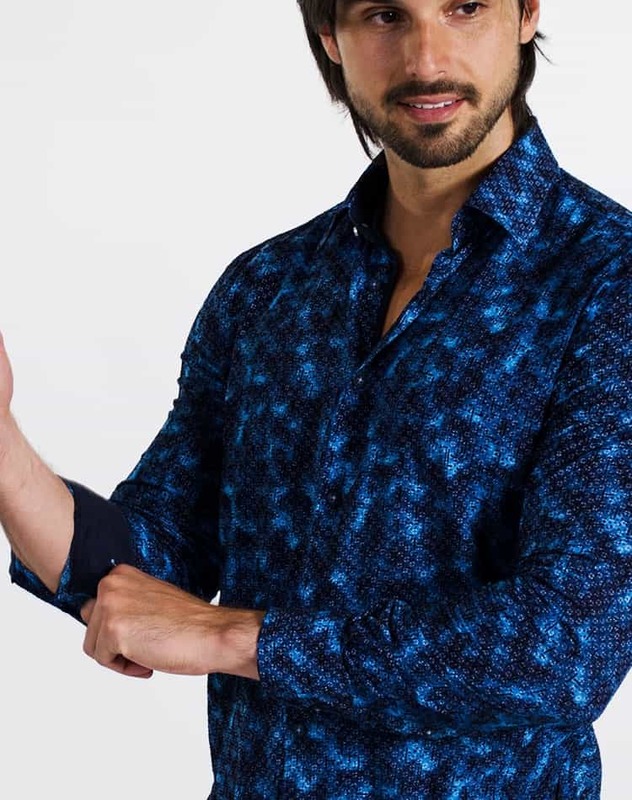 Via Uomo Frassino Navy is a great shirt that any modern man should have in his wardrobe as it goes great with jeans but can also be worn at the office for a casual Friday. 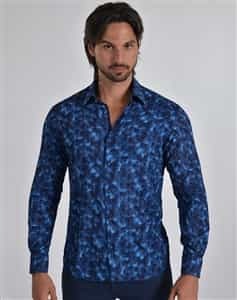 The shirt comes in a graphic pattern in shades of blue and has a navy blue color block contrasting fabric on the interior collar, reversible cuffs and in a decorative pipeline along the interior button placket. 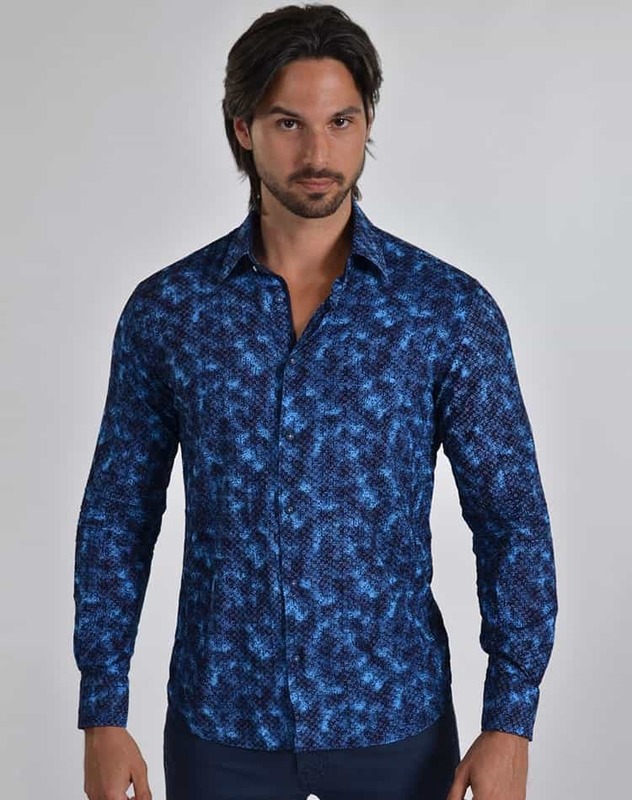 Via Uomo Frassino Navy is 100% cotton made of the finest European fabrics available offering you the comfort that you need to wear it all day long. The shirt has a European tailoring style shirt with a slim cut and a wide size selection making it easy to find the perfect one for you. Order this shirt today and enjoy this high quality garment and its original design that will make you stand out in a crowd.